To be honest I did not find anything remarkable about this sponge. IT does it’s job, the scourer is softer than others so doesn’t damage your dishes. I carry a scratch bride in my camping set, one in my kitchen, and hubby has at the work shed for his grubby hands. 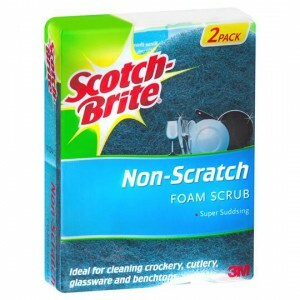 How would you rate Scotch-brite Non Scratch Foam Scrub?